Trail maps. Simple. 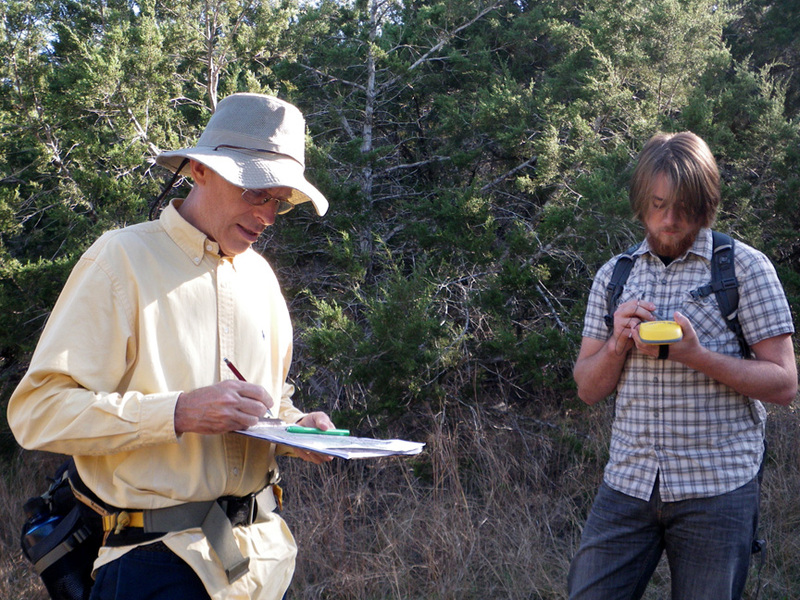 Walk the trail with a GPS device and transfer to a computer program. Hit PRINT or these days, UPLOAD. And viola! You’ve got a trail map. What do you name the trail? Which landmarks get used (and which don’t). What other important information goes into making a good, useable trail map? What about consistency between trail maps. First you need an expert. SMGA is fortunate to have the services of Kenny Skrobanek, a recent graduate from a Texas State graduate program in geography. He’s a runner, unicycle football player and member of the San Marcos community. His full-time job is with the city’s GIS department. Then you need to form a committee to make all those decisions. With a strong core of volunteers and leaders Todd Derckaz, Charlie McNeil, Melani Howard, Ann Jensen, Lance Jones, and others meet with Kenny and discuss the look and function of each of the maps. Available online and at no charge are maps from Schulle Canyon, Ringtail Ridge and this month, Spring Lake Preserve. A 3-part map of the Purgatory Creek trails should be available before the end of the year. Eight different trails compose the Purgatory Creek Natural Area. Dante’s Trail alone is the longest at more than 4 miles in length. The maps denoting the trails highlight the opportunities for residents and visitors alike to get outdoors, get some exercise (with or without Fido), and just clear the head. The other important benefit to the maps is the delineation of the creeks that flow through the greenbelt loop and the reason we want to preserve and safeguard this resource.